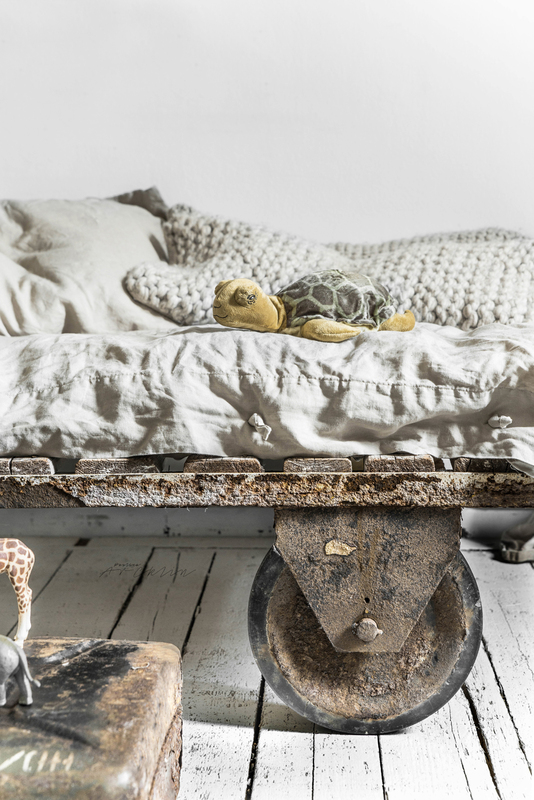 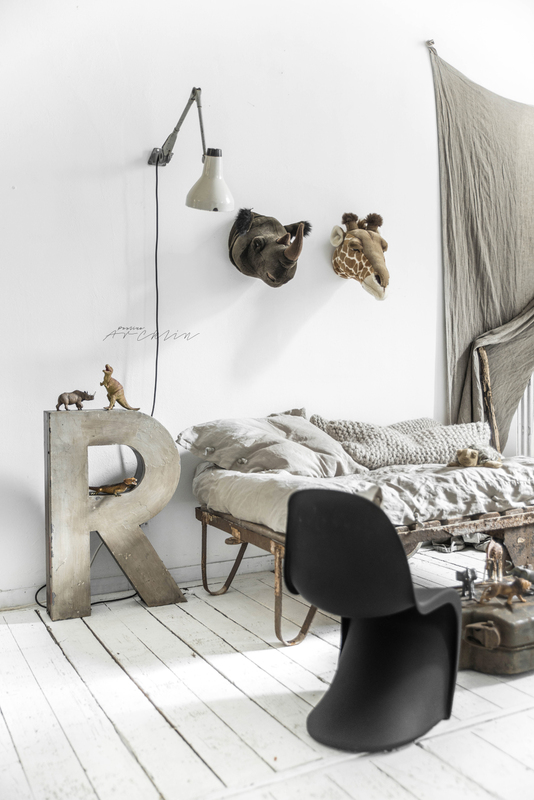 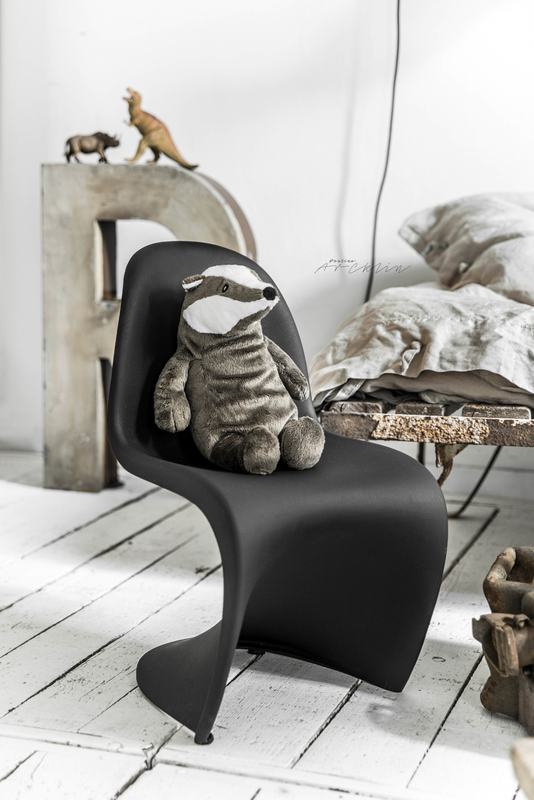 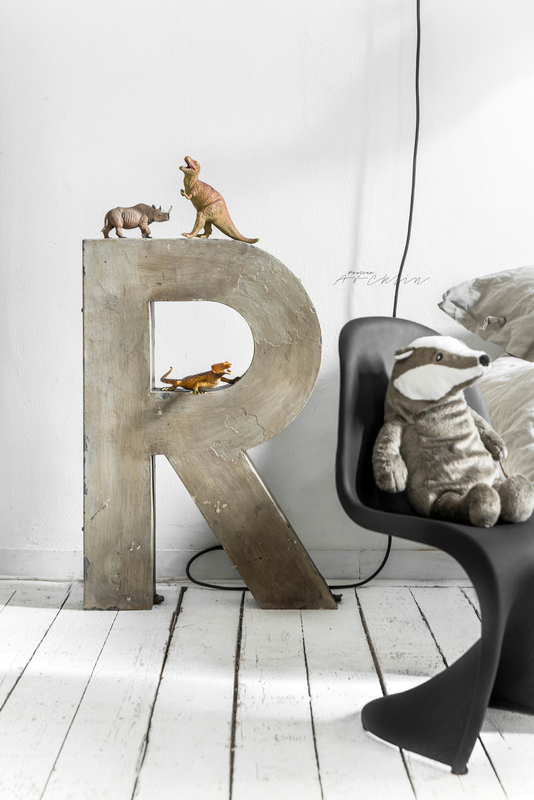 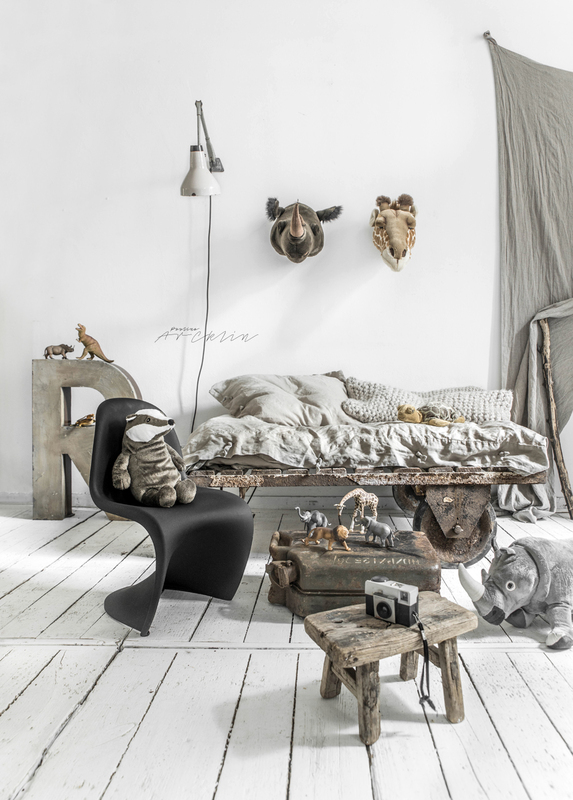 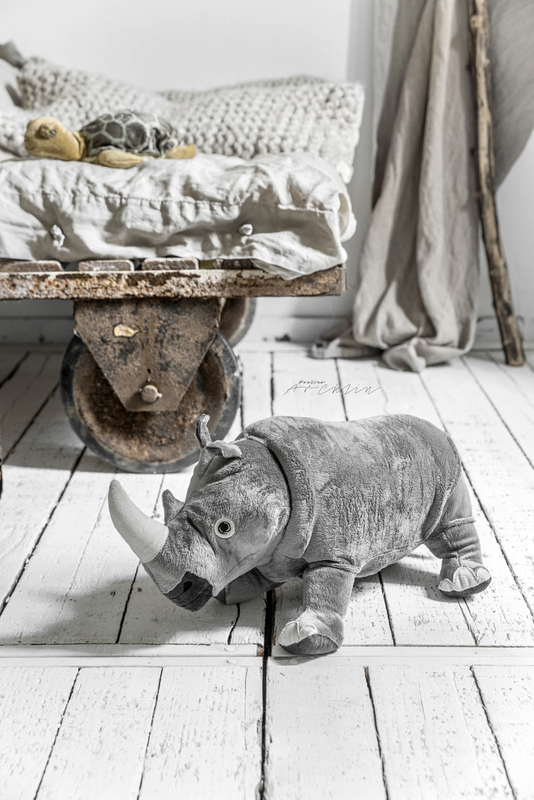 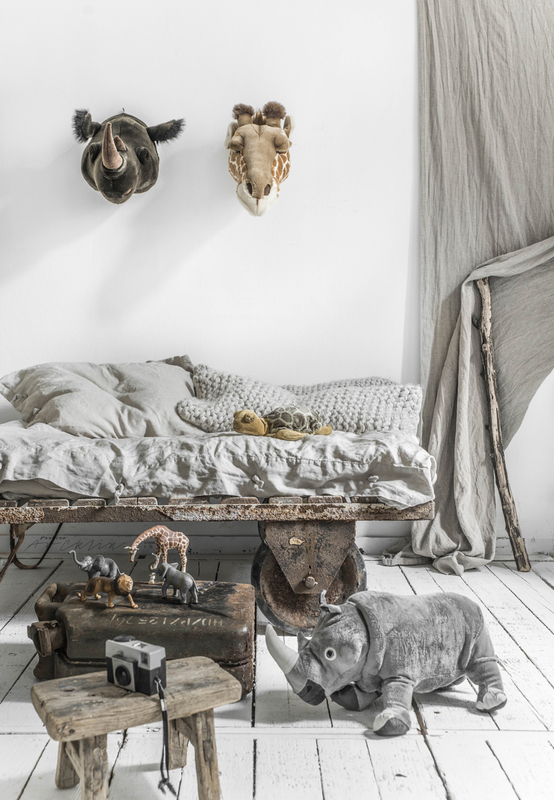 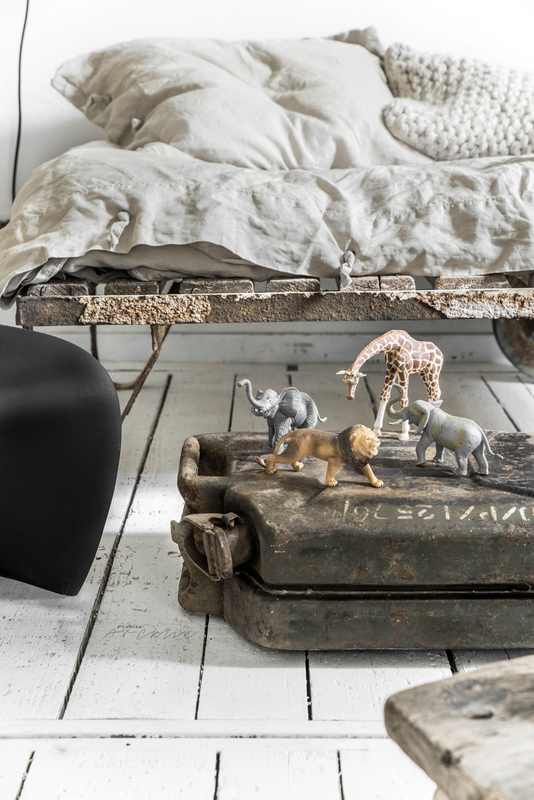 Make a Safari theme to your Kid room by natural colours with Wild and Soft animal heads and industrial pieces. 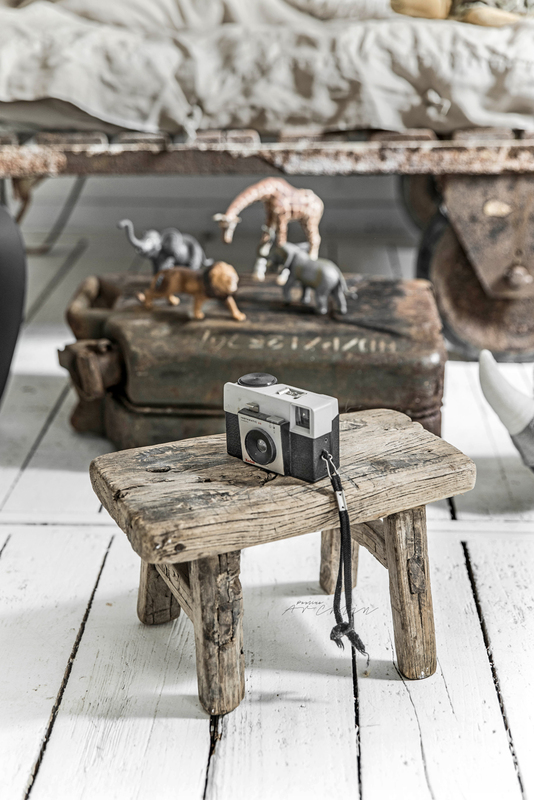 And I mean Photo Safari, NOT hunting safari! 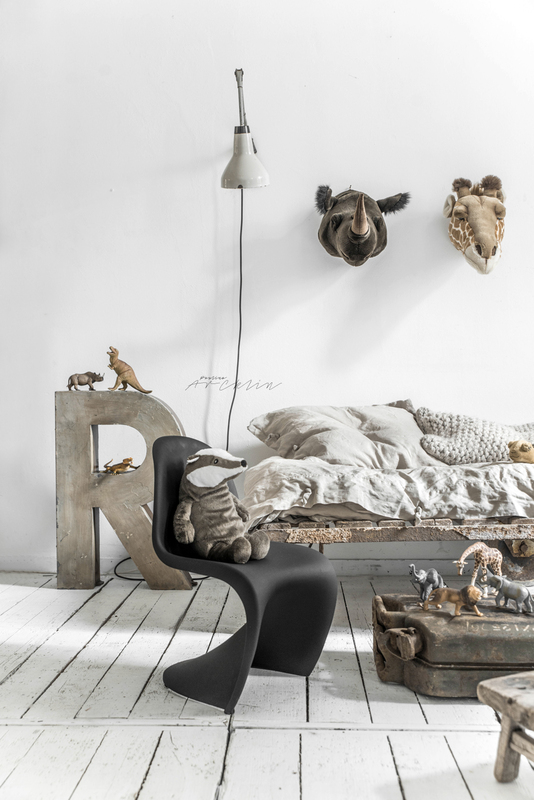 Rhino & Giraf animal heads are from Wild And Soft • another Rhino on the floor, turtle on the bed and Badger on the black stool are from Ikea • linen bedding from Ikea • knitted cushion from Zilalila • linen curtain from Bypias • working lamp on the wall from Desuet.fr • R-letter from Allorigin.it • all other items and toys are cool 2nd hand finds, like "Panton" chair which I painted to the black by l'Authentique lime paint.